We are always looking for outstanding individuals to join our team. 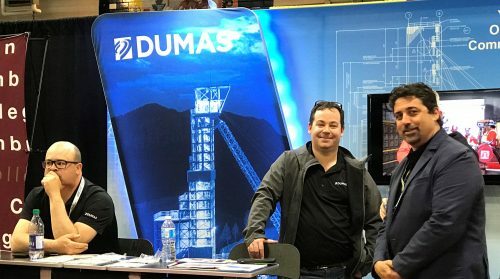 Grow your career with Dumas! This is where it all starts. After you have applied, your resume gets stored in our applicant tracking system. Our recruiters will be notified as soon as your resume enters the system. Cover letters are nice to read but not essential. Keep it simple, easy to read and most important adapt your resume to the job requirements in the job ad. We guarantee that each application and resume sent to us is reviewed by a recruiter. The recruiter will decide if your profile is sufficiently qualified to make it to the Hiring Manager’s desk. Tip: The recruiter sees a lot of resumes and has less than a minute to decide if your resume qualified for a phone interview. It is best to tell us what you have accomplished and show us how you are progressing in your career. If you get the message that we want to talk to you, prepare for a 10 to 15 minute phone conversation. We will ask you a few “knock out questions” to ensure that our expectations and yours are in the same ball park. This is the step where your future manager gets a first view of your skills and experience on paper. If the Hiring Manager decides you have a profile worth knowing more about, you will get an opportunity to connect in a one-on-one setting via phone, Skype or in-person. Time to meet your potential new manager. The number of interviews depends on the position. Hourly Positions: This could be as simple as a 15-minute phone interview where the Hiring Manager is able to make a quick assessment of qualifications and explain the role. If necessary this interview could be in-person and last up to an hour. Salary Positions: Hiring Managers aim to really understand your knowledge, skills and abilities. You can expect at least a 1 hour in-person interview and depending on the position, you may be required to attend up to 3 interviews for the management team to make an informed decision. If you get this far, you are one of the top few candidates we are still considering for the role. We rely on background checks and pre-employment assessments to ensure we hire an employee fully fit for duty. If you are chosen as the successful candidate for the role, you will receive a written offer of employment via email. Welcome aboard! Your first day at Dumas is sure to be a busy one. You’ll meet your new team, get familiar with your surroundings, and jump right into the next chapter of your career! Bring copies of important documents to complete your hiring package (i.e. banking information, ID, and beneficiary information).